Combine several modules to enable Raspberry Pi to power a large 1.2 inch, 4-digit, 7-segment display. A small switch changes the display between showing the temperature and the current time. 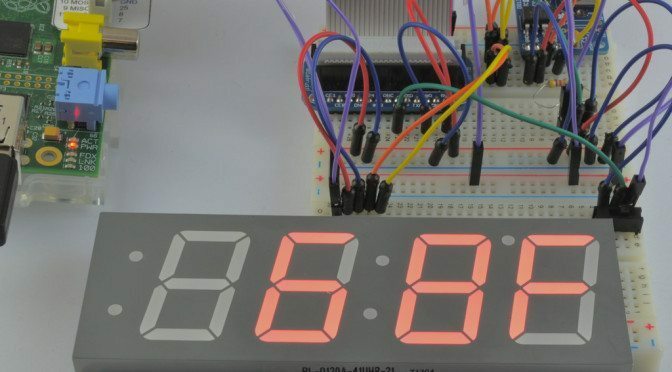 This project uses a real-time clock to ensure that the Raspberry Pi always has the correct time, even if it is not connected to the Internet.